a tight joint all the way around. rings as the inner rings. 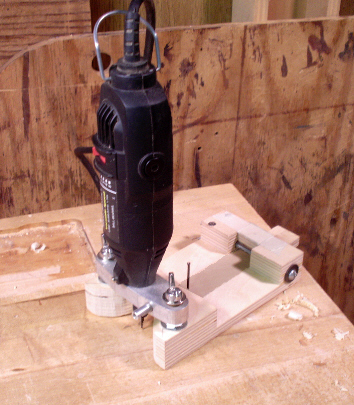 nail that you see just behind the Dremel. Now, the SAGA OF THE ROSETTE. one pass, so I used a small (1/16") bit. so I ended up with sort of a spiral. get the idea. 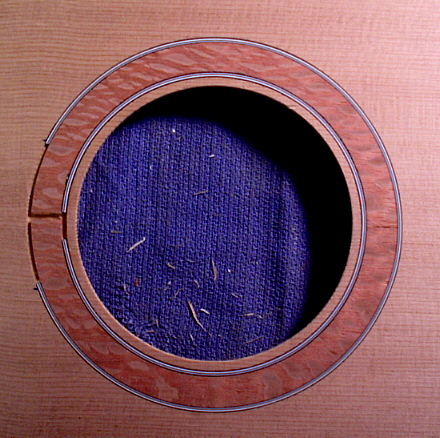 The area at left where the rings don't quite meet will be covered by the fretboard. 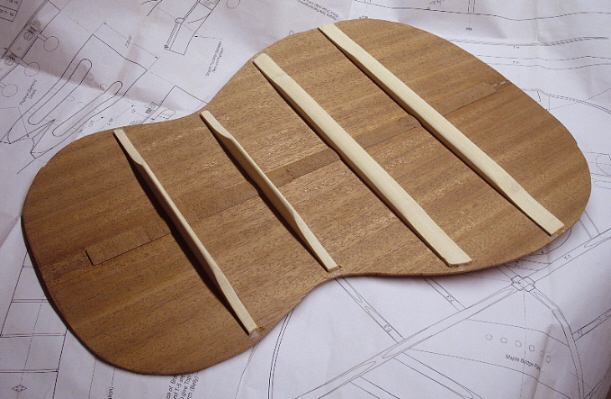 neck joint, the upper bout looks strangely bulbous, doesn't it? Like it's hydrocepalic or something. 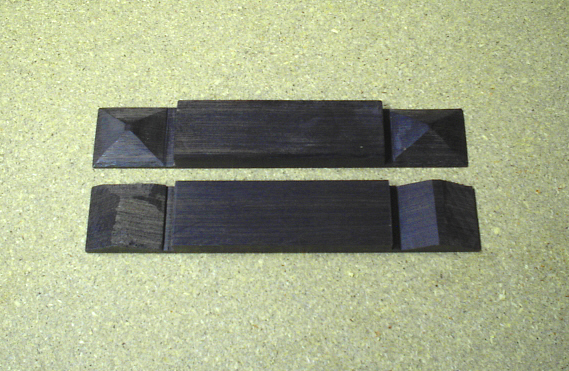 'scalloped', cut out to make the brace look sort of like a suspension bridge. 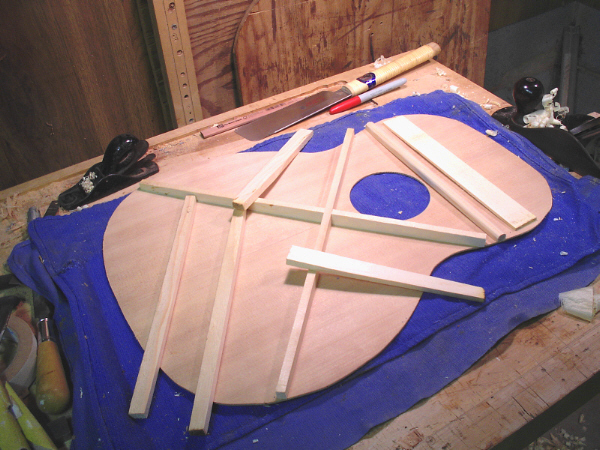 And here's the completed X-brace, with the rest of the main bracing roughed-out and resting on the top. underneath against the string ends and bridge pins. 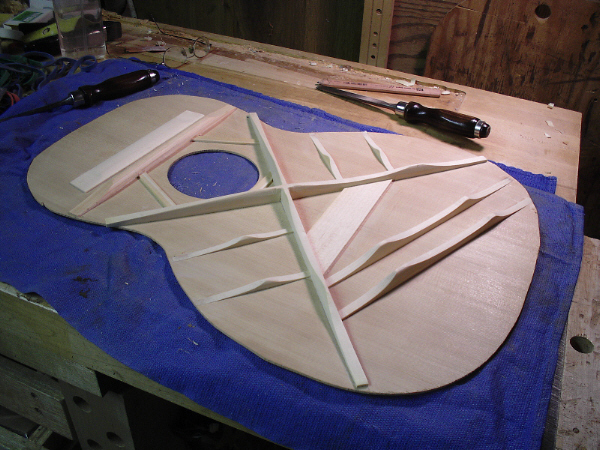 All the other bracing is spruce. 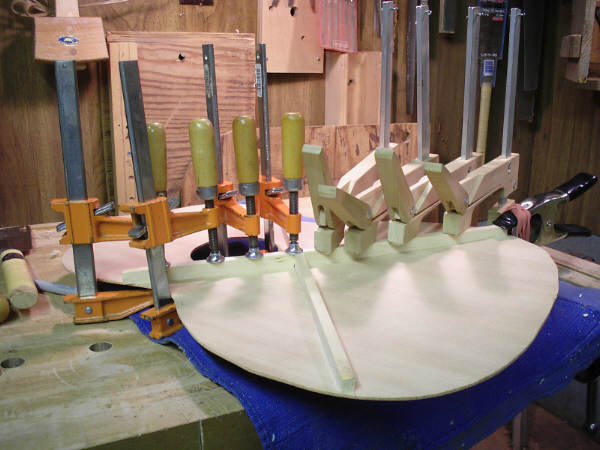 attach the top and back seperately, clamping them with rubber bands while the sides are in the mold. provide more gluing surface, but the pyramid style is period correct, so that's what I'll be going with. Basically, there is a rectangular center section with, oddly enough, a four-sided pyramid at each end. workable method which I tested on the blown out blank (bottom right). Jume 3, 2008 Oim beck! 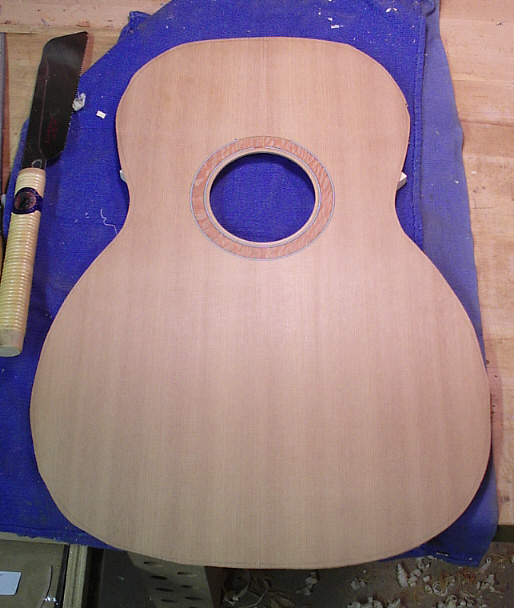 roughed out and ready to slot for the saddle. 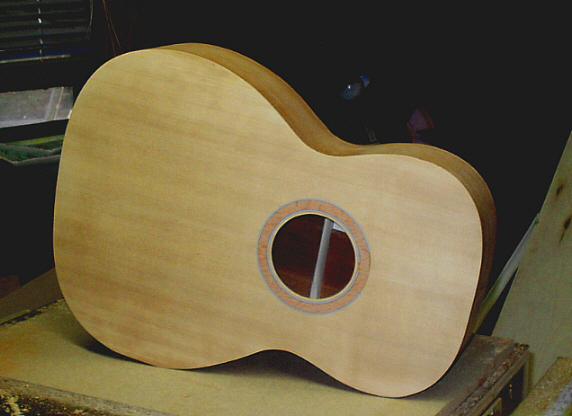 away the top and sides. was new mold vs. L-hooks.